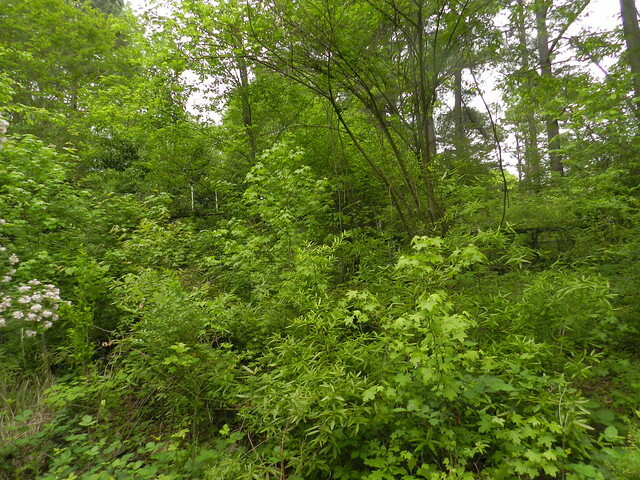 In spite of living in a subdivision with a yard I turned into a garden over the years, I have finally let it all go to the point that walking around my yard is a walk on the wild side. The kolkwitizia ambilis I planted decades ago to grow on my deck wall still grows over the deck wall but it also takes a bow over my back yard. I like the pattern in the kolwitizia blossoms. 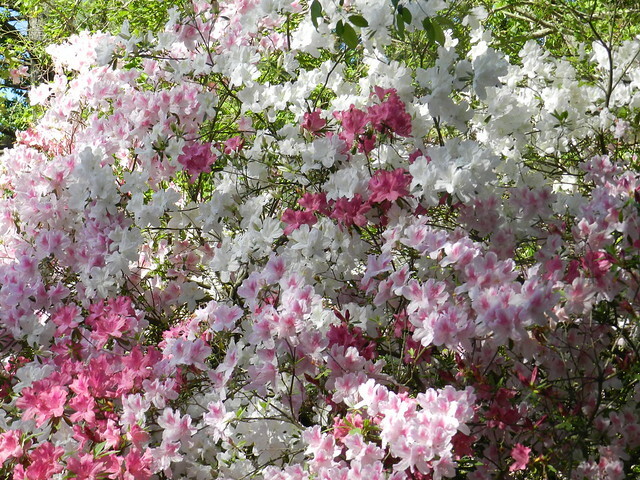 The azaleas on the driveway side of my yard form a flower wall in april on both sides of the fence. 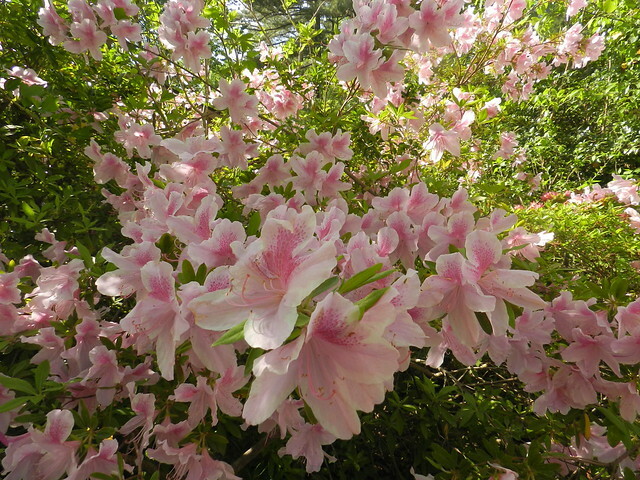 Some of my azaleas think they are trees. They don't bloom that long but they make me smile when they are at peak blossom time. We've had overcast rainy days for the most part but I did get a blue sky briefly. 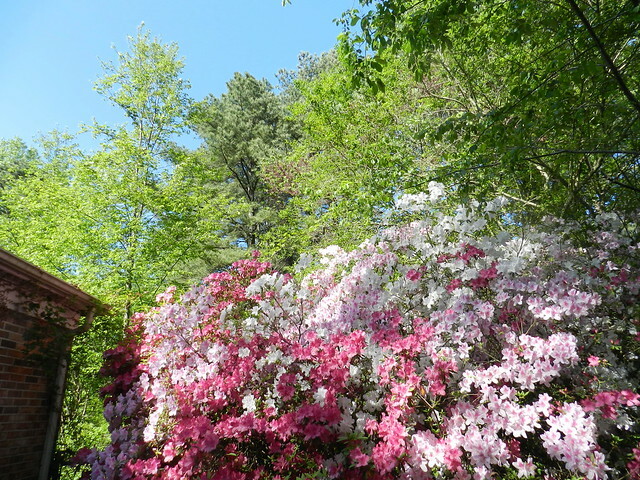 The large azaleas at the bottom of my driveway are past peak bloom. 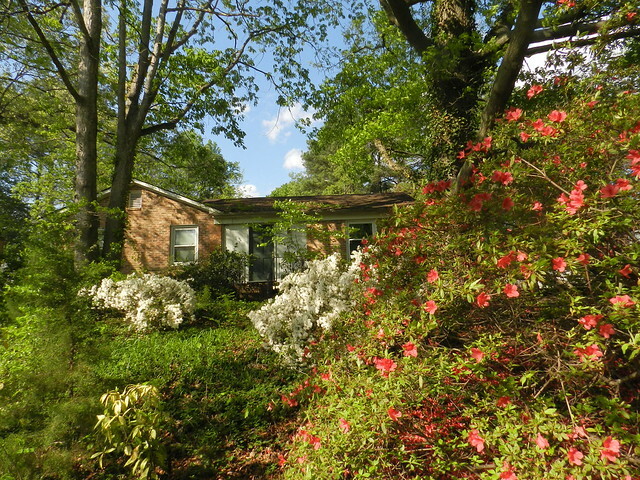 On the opposite side of my house from the driveway I have more of the large azaleas in bloom. 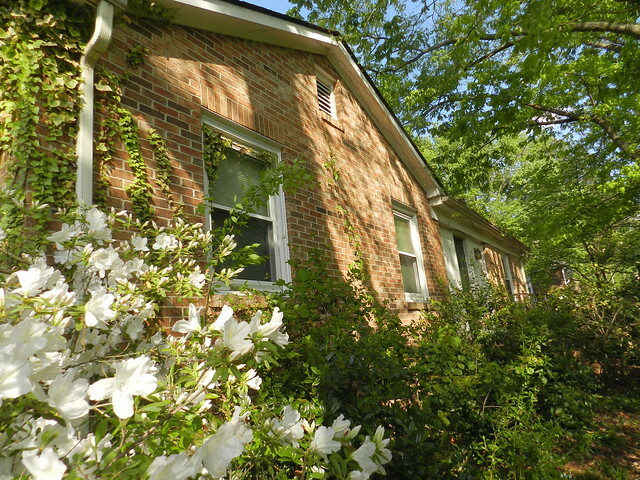 I used to joke about how the plants would eventually hold up my house and I think it is coming to pass. 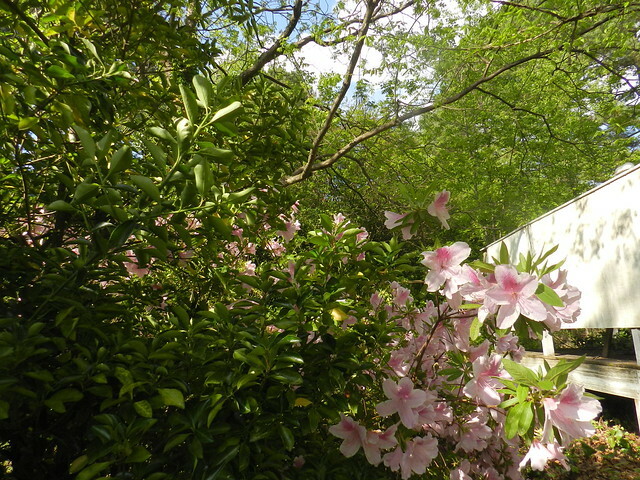 The gates on both side of my house are so loaded with blossoms I have to duck down to get into my backyard. Every year when the blooms end I cut them back from the gates but by blooming season they are something of an obstruction. My city has an ordinance about how tall grass can grow so I've eliminated all but ornamental grass to avoid mowing. I do sometimes wonder if letting my yard go totally wild is against an ordinance I don't know about. I'm taking a little time off from the photographic themes I enjoy participating in. I'm feeling somewhat stale so I thought I'd try posting less often and keep my posts free form. This place looks like a jungle ! Oh how lovely. It's like a vacation destination. Having coffee and tea in the garden every morning, that must be so peaceful. Your garden/yard looks so awesome. I LOVE your yard. If we'd had the courage to do what you've done we might still own our house and be in Oregon. (Well, I would. I guess I'd probably be there alone though ... but I loved RVing too after somebody talked me into it ;>). I've cut back on the number of posts I do but I still link to as many memes as seem appropriate. But I don't go looking for a picture just for a meme. If I take them anyway and they fit, then I link. Whatever you do that is right for you, just let us know once in a while that you are OK!! (And that your birds are still enjoying those flower saucers.) I'd really hate to miss those as well as your gorgeous flowers! I adore your yard - at least they can't complain about how tall the grass is. It must be such a thrill to enjoy time in the yard. I love love love kolkwitizia , we had a huge one in N. California - one of my all time favorites. 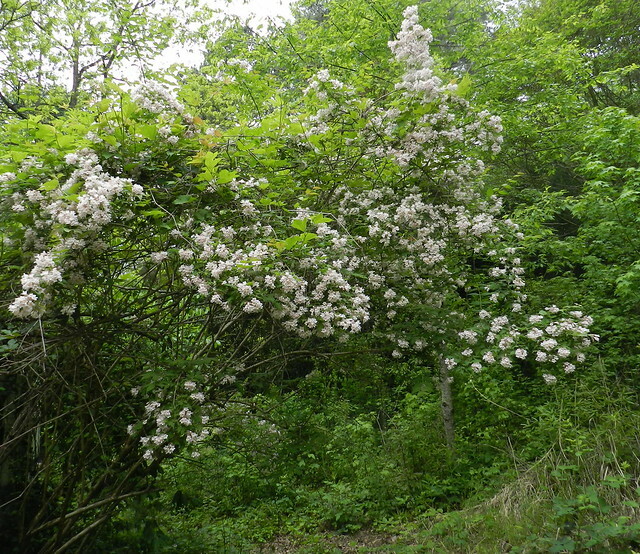 The common name - (not sure if it is just CA or other places) is Beauty Bush and I think that is the perfect name. 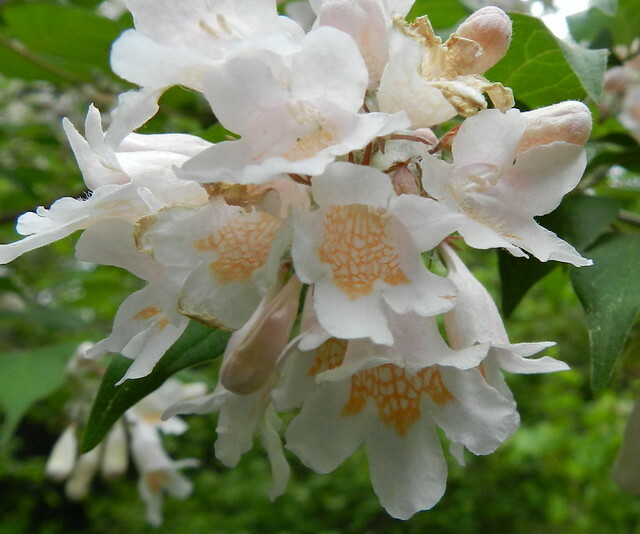 I've seen them in our town now and want to get one - I loved to sit under it and listen to the bees singing a happy song - and the scent was fabulous. Your yard is simply amazing. Wow! 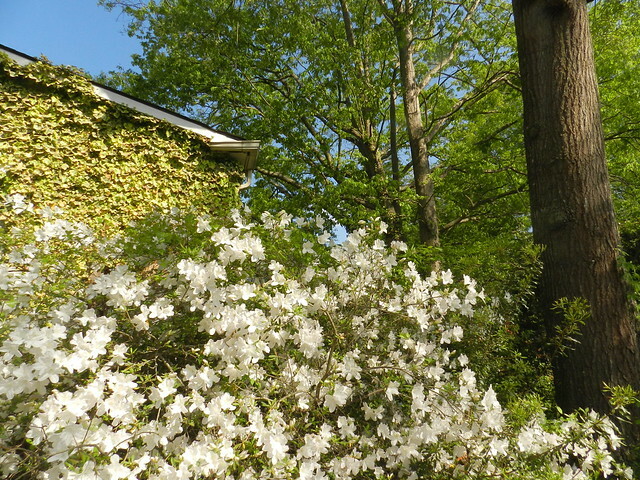 Gorgeous Spring time shot with your 'walk on the wild side'! All those beautiful blossoms! Wonderful photos! Wow - gorgeous flowers in your garden! 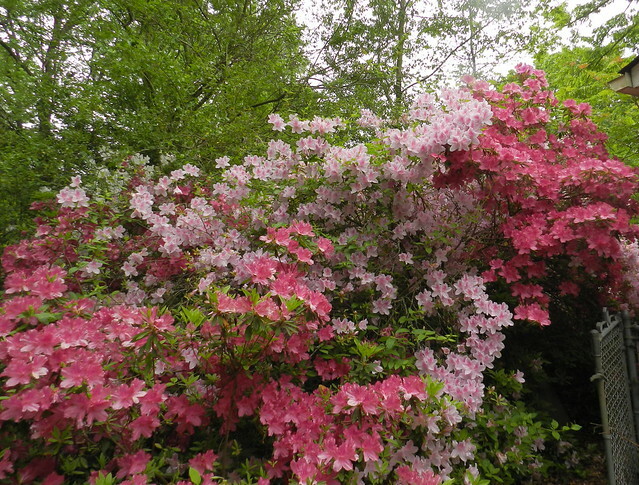 The azaleas are gorgeous! They're always one of my favorites. 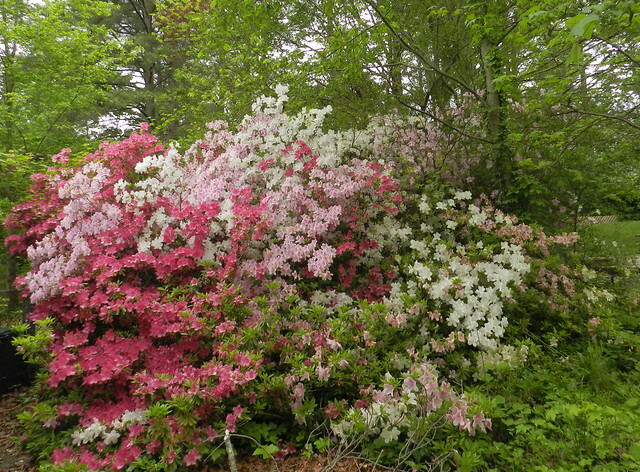 I like that wild growth, it's like a park, the azaleas are quite pretty. So soothing to eyes! Great pics!